The solo seat has a low profile low & lean look, its slick low profile look hugs the frames contours like a glove, following the lines of your bike. 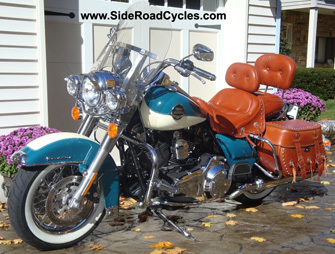 The seat is designed to bucket you in within its contours giving plenty of lower back support to provide the lowest comfortable ride possible. 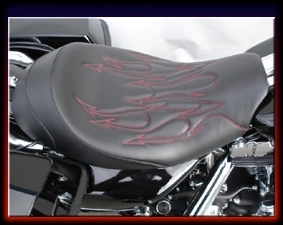 Removable Drivers Backrest 8"x 12"
The solo seat has a low profile low & lean look, its slick low profile look hugs the frames contours like a glove, following the lines of your bike. 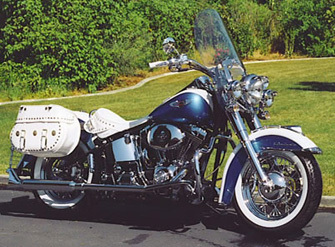 The seat is designed bucket you in within its contours. 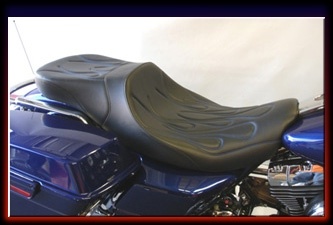 The Fastback model is a low profile seat with sleek styling and a custom look with plenty of lower back support. 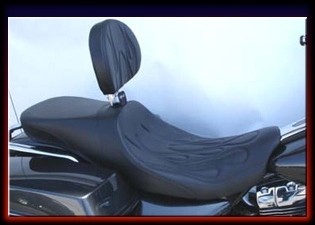 The tapered passenger area smoothly flows into the rear fender; it also doubles as a passenger pad for around town. 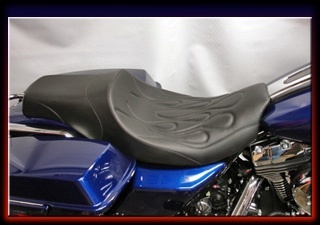 The Fastback model is a low profile seat with sleek styling and a custom look with plenty of lower back support. 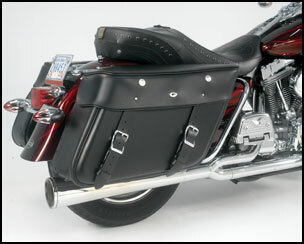 Its removable drivers backrest comes out easily to store in saddlebags. 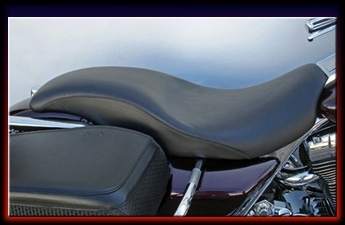 The Squareback model is a low profile seat with unique styling and a custom look with good lower back support, and a level padded passenger area for longer rides. 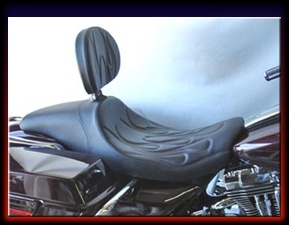 The Squareback model is a low profile seat with unique styling and a custom look with good lower back support, and a level padded passenger area for longer rides. 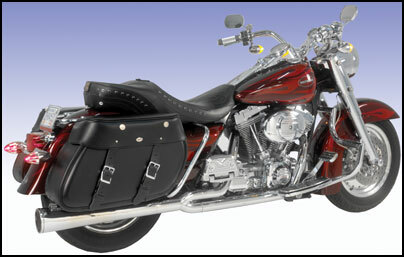 Its removable drivers backrest comes out easily to store in saddlebags. 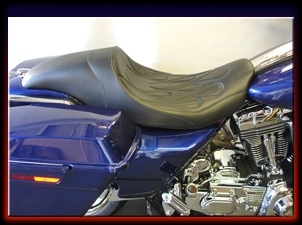 The LoPro 2Up seat is a low profile slammed style seat. 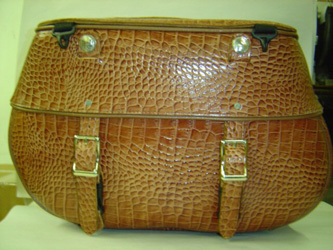 It comes without a stitch pattern, for a clean smooth look (stitch pattern can be added upon request). 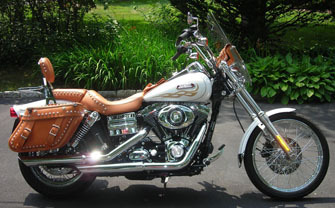 Its design for the minimalist that wants a low clean look, that still offers comfort. 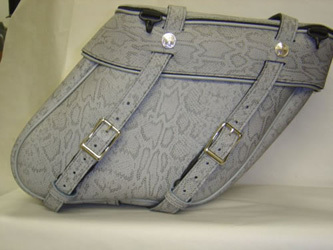 The SportTour model keeps you comfortable in its contoured bucket shape with good lower back support. 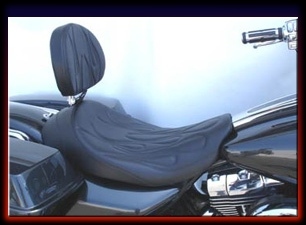 The passenger area has added pad width and a slight contoured shape to keep your guest happy for long rides. 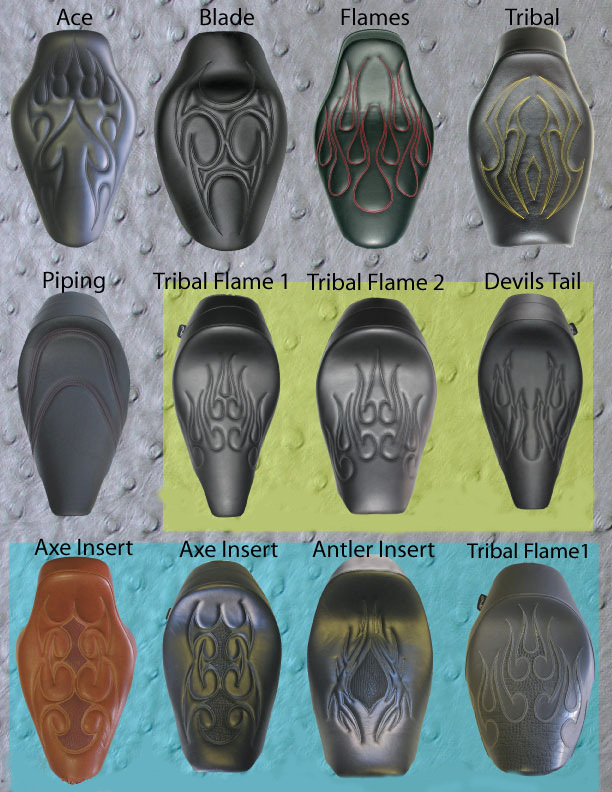 The SportTour model keeps you comfortable in its contoured bucket shape with good lower back support. 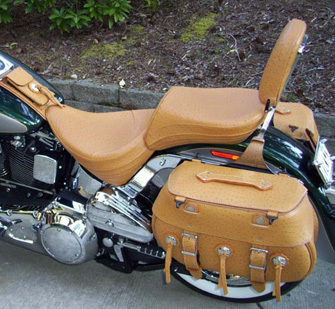 The passenger area has added pad width and a slight contoured shape to keep your guest happy for long rides. 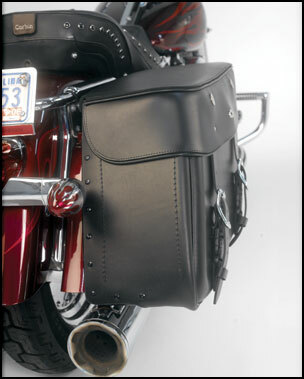 Its removable drivers backrest comes out easily to store in saddlebags. 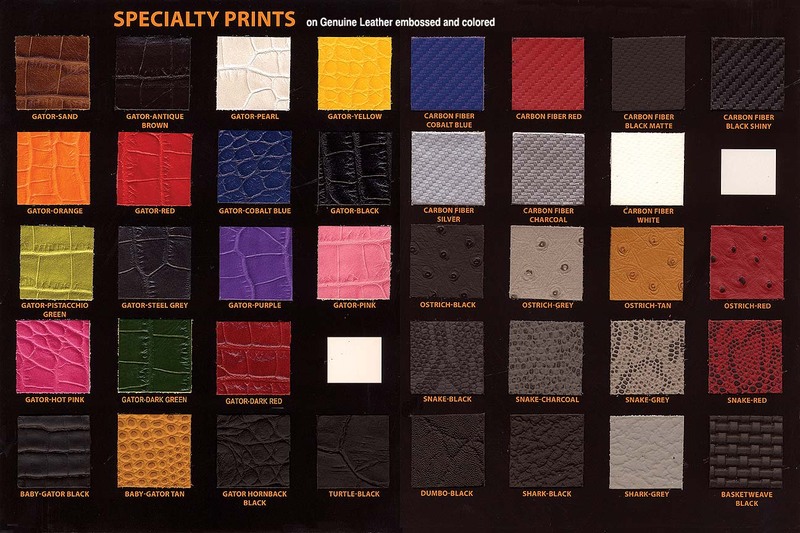 Your Shipping Price: $0.01 for Ground shipping for all Leatherworks and C&C Seat product orders to be shipped within the main contiguous USA only. 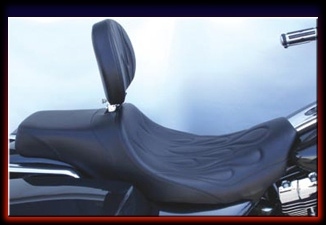 Note that we only can ship C&C Seats to USA and Canada. 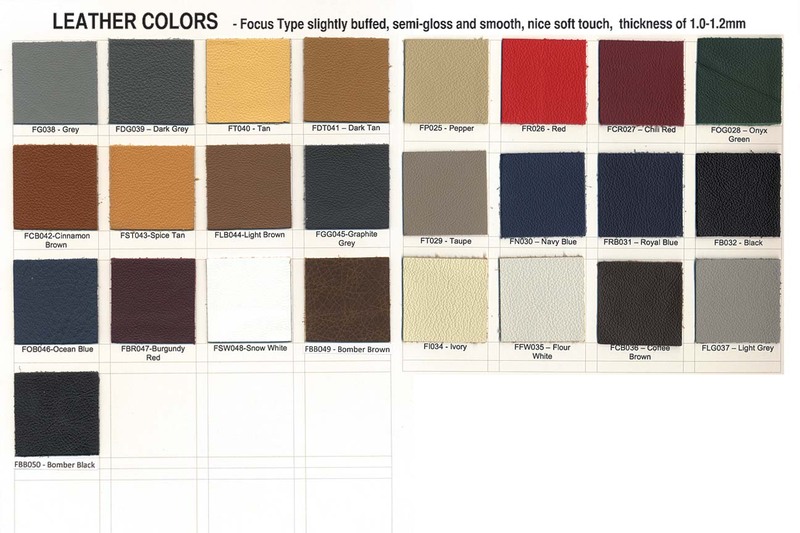 Lots of Options - Select from various Colored Leather.